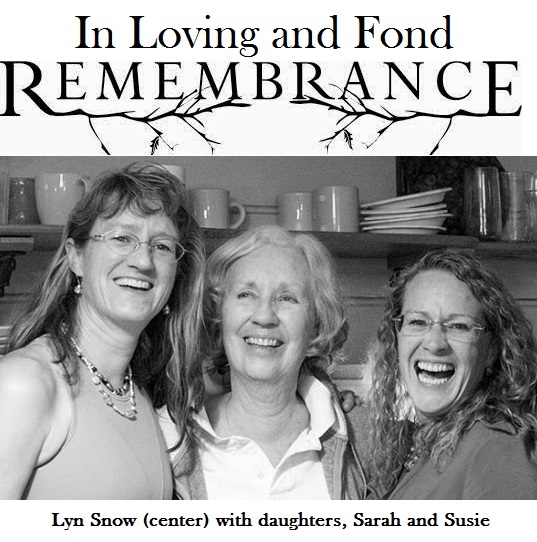 On Tuesday, December 13, Midcoast Lyme Disease Support & Education (MLDSE) is hosting guest speaker Susie Whittington as she shares “Remembering Lyn Snow” from 6-8pm at the Knox Center located at 6 White Street, Rockland, Maine. Marilyn “Lyn” Ruth Snow was many things to so many people ~ wife, mother, granddaughter, friend, artist, beloved community member and her gift of strength and giving of herself continues to resonate in the hearts and minds of those who knew her even today. A lifelong artist at heart, she found her true calling with watercolors. With her award winning artwork displayed in galleries all around the country including Boston and Philadelphia, her generosity knew no boundaries. Known as the matriarch of her family, Lyn was always thinking of others. But on Dec 13, 2013, she lost her life to Powassan virus, a fatal tick borne disease that moved quickly and silently. Although the virus that took her life continues to stump researchers, awareness and educational efforts for Lyme and tick borne prevention and support are readily available through Midcoast Lyme Disease Support & Education, a nonprofit 501c3 organization and Maine partner of the national Lyme Disease Association and member of Maine CDC’s Vector-borne workgroup. We invite you to join us for a night of fond memories and education as Susie Whittington, Lyn’s daughter, shares with us her mother’s story ~ who her mother was, the many ways she touched so many lives and how she taken before her time.